Crosby aka Digi Analog is a versatile and inspired "hyperactive lyricist". From Gugulethu, the "artistic cauldron" of Cape Town, he is one of the pioneers of the MC movement. Born in the 80s to a Rasta family, Crosby grew up to the rhythm of Roots reggae. As a teenager, as Hip-Hop culture flooded the world, Crosby found in it a new means of expression. Both genres are the pillars of his unique style, a hybrid flow he maneuvers with virtuosity. His lyrics reflect the aspirations of a deeply humanist artist, turned towards Universal Unity and imbued with the relentless reality of the townships. 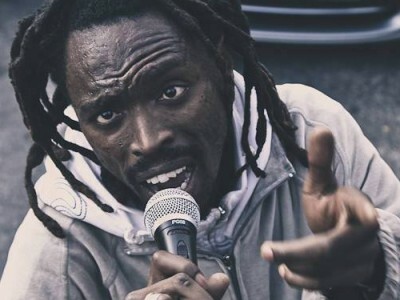 Singer, producer, Crosby is a key figure in Reggae, Dance Hall and Hip Hop in South Africa. His first album, A Better Place, released in September 2017, caught the attention of European media and was nominated at Reggaeville for The Album of the Year 2017. Icons of the South African Scene from the Townships of Cape Town, Voted "Best Reggae Band"
Township of "Nyanga", that the "Ghettosound Studio" and its group Azania Band are born. Faced with the regime of apartheid raging throughout the country, Azania was founded with the firm intention of elevating the messages of the voiceless with only the weapon available to them: Music. Defenders and flag bearers of a Reggae Roots Consciousness, the group is involved in many social and cultural projects in South African townships. Emblematic and respected both for their musical mastery and for the battles fought over the past 30 years, Azania Band are also the most in-demand backing band by the international headliners touring in the area. Powerful baselines and hypnotic melodies to Dub and Jazzy accents are their hallmarks. Today, Azania Band continues their international development and their new album "Burn Down Babylon", is a collection of intensely Roots nuggets to be discovered on the main stage of Amani on Saturday, February 16, 2019.